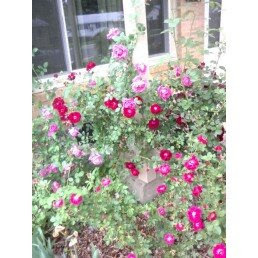 Here is a picture of some of the roses by the front door! I am very happy that someone who was here in the past was a gardener. Life is okay today. I am going to post a picture of the knit bag tonight. I just have to make myself finish it and get a pic.